This is the secret that investment pros are using for potential 100-fold gains! Editor’s note: Below, you’ll find the latest essay in Matt McCall’s series on how to make money during the coming marijuana boom. In this essay, Matt reveals what could turn out to be the ultimate way to invest in legal marijuana. A few days ago, I made a claim that many people will find absurd … that right now, we have a rare investment opportunity to make 50-fold investment returns. Invest $10,000 or $20,000, make $500,000 or $1 million. However, if you know the absolute best way to invest in a commodity boom, then you know my claim may not be “absurd” or aggressive enough. That’s because, throughout history, smart investors have used this unique investment strategy to make not 50-bagger gains, but 297-bagger gains … 450-bagger gains … and, in one case, an incredible 2,970-bagger gain. A 200-bagger gain works like this: You put in $10,000. You walk away with $2 million. The secret the world’s best investors use to make these staggering returns? Back in the early 1980s, a lawyer and geologist named Stanley Dempsey decided to start his own gold mining company. First, the costs alone to explore for gold were very high. His company burned through lots of money just trying to identify a target gold deposit — and then you add in land, labor, insurance, permits and, not to mention, the expensive gold mining equipment. And this is before he even discovered a single ounce of metal! For months Dempsey and his men hit nothing but dirt. Soon, his company was $2 million in debt and its stock plummeted to just a few pennies per share. A secret that would make him and his early investors an enormous fortune. Dempsey took the money he had left … and rather than spend it to have his own company explore for more gold … he offered it to other, more knowledgeable and experienced folks in the gold mining industry … so they could explore. In return, Dempsey’s company would receive a percentage of whatever gold the mining companies found and sold … in the form of large royalty payouts. In other words, Dempsey’s new company didn’t mine or produce gold. They didn’t own drills, or trucks, or any of the other incredibly expensive trappings of the mining business anymore, either. They simply paid other folks to find gold for them and took a large percentage of the profits in return. In short, Dempsey created a business that let him cash in on large gold deposits before they were discovered and without risking any capital on the normal mining costs. But Dempsey knew the key to making this work was to stack the odds in his favor. First, he only worked with the most knowledgeable and experienced miners in the industry — in short, the guys who knew where the gold was. This way he maximized the probability of finding a “winner” – if even one of the mining operations he funded discovered gold, he’d receive royalty payments for years. The first deal Dempsey struck was with one of the smartest and most connected miners in the world. Dempsey fronted him $1 million on a project he was putting together in northeastern Nevada. In return, the miner agreed to pay Dempsey 20% of whatever they discovered, and this part is key … for the life of the mine. If you know anything about the mining industry you know that mines can produce gold for decades. So, if they found gold, Dempsey could be in line for huge payouts for the next 30 years or more. And that’s exactly what happened. Not long after his first deal, the mining operation struck gold. The first year of royalties for Stanley amounted to $9 million in revenues. Remember, Dempsey had invested $1 million. In just the first year of receiving royalties, he was already looking at an 800% return. In year two, Dempsey collected another royalty payment. This time an $8 million payout. And that’s the beauty of this unique business arrangement. Dempsey makes one simple investment … and then gets paid over and over again, while somebody else takes the risk of exploring, developing, and mining the gold. It went on like this for years. In fact, as we speak, his company is still collecting on this original investment, to this day. And just think … that’s only one royalty deal from one mine! It’s brilliant. Dempsey’s company has basically zero costs. They just collect revenue. It didn’t take Dempsey long to figure out that the royalty method was a much better way to make money than trying to do the mining himself. Today, his company is collecting royalties just like this on dozens of the best gold properties all over the world. This completely changed his business … taking it from a gold exploration and production company and turning it into a gold royalty company. And today, his company, called Royal Gold, is one of the most profitable companies in investing history. Some early investors have even made an unheard of 297,900% return. A company called Franco Nevada (NYSE:FNV) had a similar gold royalty business. Investors who got in early on this unique investment turned every $1,000 into more than $453,000. A company called Silver Wheaton (NYSE:WPM) did the same thing, except with silver instead of gold. This company has skyrocketed by as much as 1,700% since inception. A company called Sabine Royalty Trust (NYSE:SBR) did the same thing with oil. Shares have risen as much as 10,200% since going public. And that’s exactly why I’m writing you today. If you’re able to buy Franco-Nevada or Royal Gold shares at a great price, I’m confident you’ll do well over the coming years. But the key to making really, really big money in royalty companies is to get in at the very beginning. You want to be there first. As you’ve probably guessed, a brand-new royalty opportunity has just opened up … only this time it’s in the legal marijuana business… the industry with extraordinary upside that I’ve been writing to you about this week. This company is super small — like Royal Gold was at the very beginning. Very few people even know it exists — and practically no one on Wall Street is following it … at least, not yet. As you’re about to see, this is the most exciting opportunity I’ve come across in several years. I think you’d be crazy not to take advantage of it. After all, early investors who staked claims in royalty companies like Royal Gold, Silver Wheaton and Franco Nevada made huge amounts of money. I’m urging every investor I know to put at least a little bit of money in the legal marijuana business. And if you’re serious about making huge money over the coming years, I urge you to become familiar with the marijuana royalty company I’m pounding the table on today. You can review my presentation on this company right here. P.S. My team and I recently produced a detailed presentation on what I believe is the absolute best way to invest in legal marijuana right now. It’s by investing in a small, sub $1 per share company that is using a totally unique business model. This stock has none of the risks associated with ordinary pot stocks… yet it could make you 10-fold returns over the coming years. Click here to view my presentation. 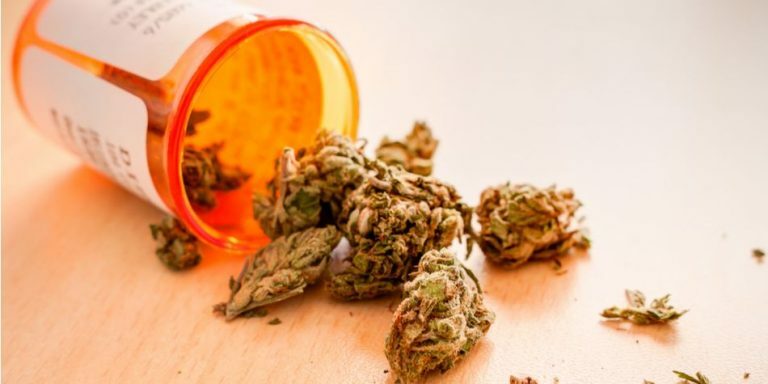 Article printed from InvestorPlace Media, https://investorplace.com/2018/06/the-absolute-best-way-to-invest-in-the-marijuana-boom/.